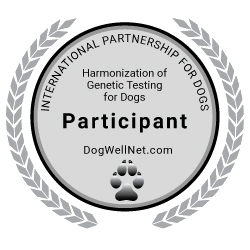 Workgroups of Prof. Andrea Fischer from the university of Munich and of Prof. Tosso Leeb from the university of Bern found a causative mutation for cerebellar hypoplasia in dogs for the first time: A mutation in the VLDLR-gene is responsible for the so called Dandy-Walker-like malformation (DWLM) found in Eurasian dogs. DWLM as a disease is caused by a malformation of the cerebellum. Symptoms include various forms of ataxia and commence at the age of 5-6 weeks. Affected dogs exhibit wobbly gait, loss of balance or periodic reoccurring collapses. Epileptic seizures were described in some cases as well.